Photographic ecards are extremely popular, as they can often paint a scene without using any words at all. This particular design is a simple Christmas scenic shot taken during the wintertime, resonating with all things wintery and festive. Select these holiday ecards for business and give your clients a wonderful holiday image. Taking the perfect holiday shot that captures the winter sun spraying across a field of snow is not easy to do, especially when you aim to capture the moment the sun is setting. Here at eCO2 Greetings, though, we believe we have the perfect image of just that, available as a festive business ecard. Poking up from the bottom of the shot are elegant snow covered crops, swaying carelessly in the breeze. The stalks of these plants criss-cross and lean in the winter sun. Behind them, a woodland clearing sits in front of the sun, the dark trees offering a stark contrast to the brightness behind them. The rays of the sun illuminate the crops, with near-silver linings visible at the top of the plants. Animated snow falls as your personal message is written at the base of the ecard. 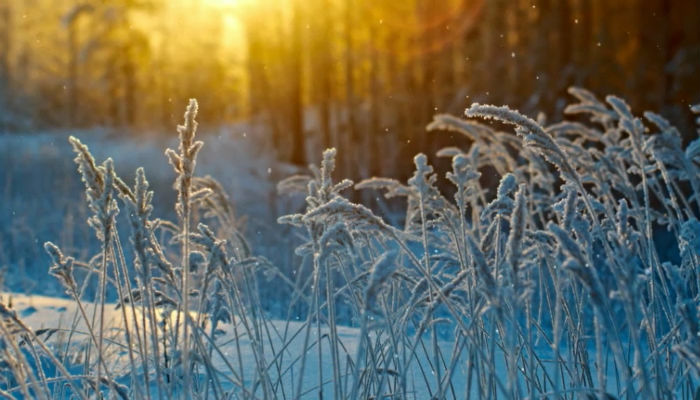 For the perfect wintertime scene, look no further than these e Christmas cards for business from eCO2 Greetings.